Are you like us and daydreaming of a sunny tropical vacation in the midst of a winter season that seems to be dragging on and on? We're looking forward to spring and summer, so to prepare we've already rolled out some of our new Modern Outdoor Furniture Collection with more items on their way. 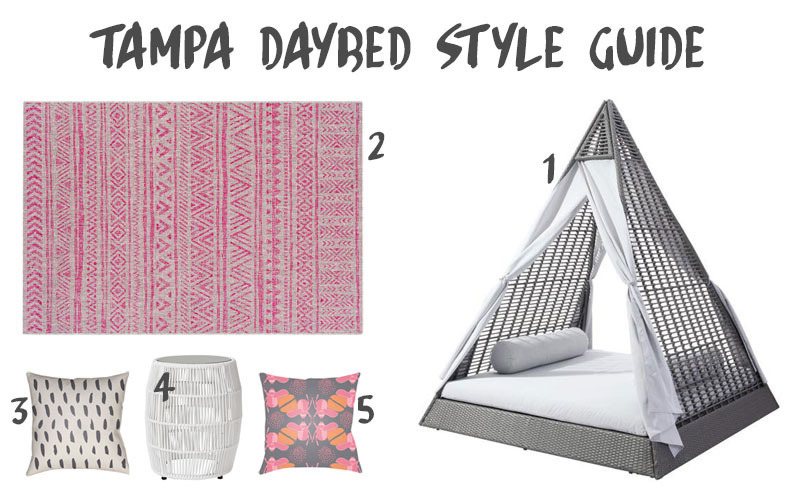 While perusing and planning, I came across the Tampa Daybed, which I'm pretty sure that I would not leave all summer long, except for the fact that I have children and you know, responsibilities. But if not for that, I would lounge around ordering drinks from the cabana boy (my husband!) while reading and snoozing the days away. While that may be a bit far-fetched, the Tampa Daybed is in stock and ready to ship straight to your door. Just think, in a few short weeks you could make your daydream a reality and be ready for warmer days to come. Cheers to that!